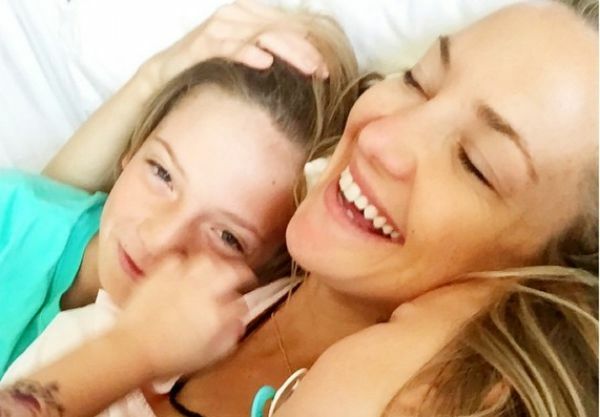 To celebrate her 38th birthday, Kate Hudson took to Instagram and posted a gorgeous, tear-jerking video of her two young sons, Ryder and Bingham. The video is made up of clips from home movies, and features 13-year-old Ryder and 5-year-old Bingham running around on the beach, wrestling, laughing, surfing, and just generally mucking around. Set to American Idol contestant Haley Reinhart’s cover of Elvis Presley’s “Can’t Help Falling in Love,” the video perfectly captures the beautiful day-to-day moments the actress shares with her children. The Almost Famous actress shares her eldest son Ryder with ex-husband Chris Robinson, from whom she divorced in 2007. She had Bingham with former fiance Matthew Bellamy. With an 8-year age difference between the boys, Kate told American website Us that she tries to find things they can all do together. And her number one past time? Movies. Looking beautiful and relaxed in her Instagram video, this is good inspiration for the rest of us to finally dig out those videos of the kids on our phones and cut something together. We may not all look like the impossibly glamorous Kate, but I’m pretty sure we’ve all got some golden videos of the kids running along the beach somewhere on the smart phone. Did you love Kate’s video too?